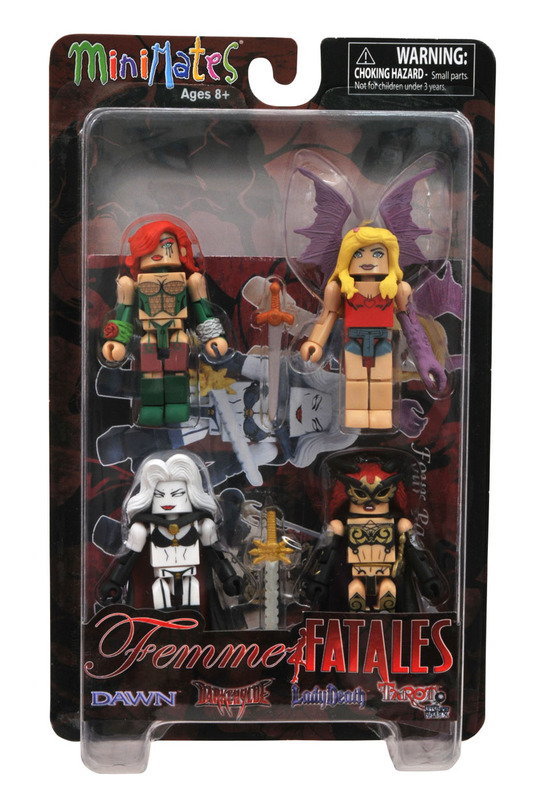 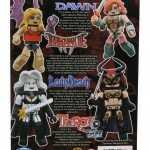 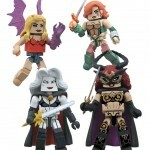 October sees the releases of the Femme Fatales Minimates Set 1 as well as the Minimates Vehicles Wave 2. 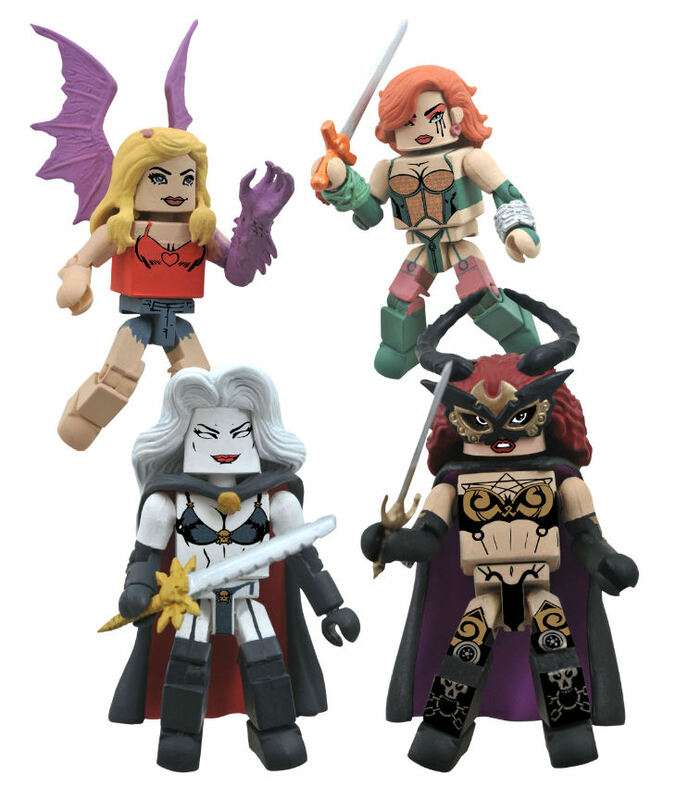 The folks at Art Asylum have updated with what’s new this month. 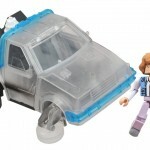 October has been a big month for Diamond Select Toys, from the Munsters to the Universal Monsters to X-Men: Curse of the Mutants. 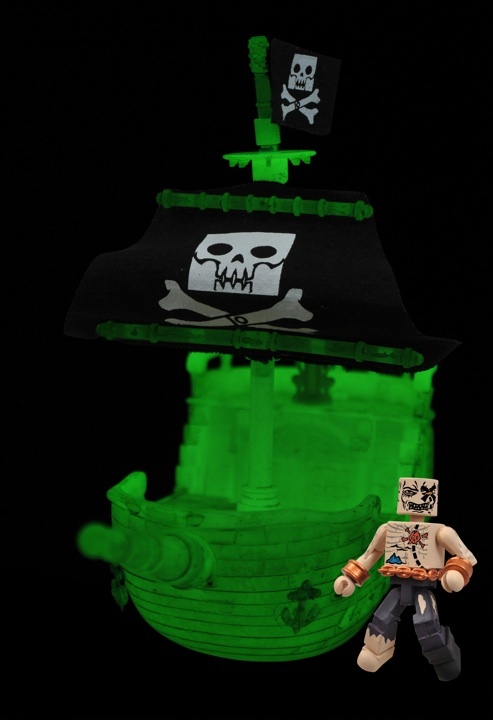 Well, we’ve got one more specialty-market ship date left in October, and it’s a doozy! 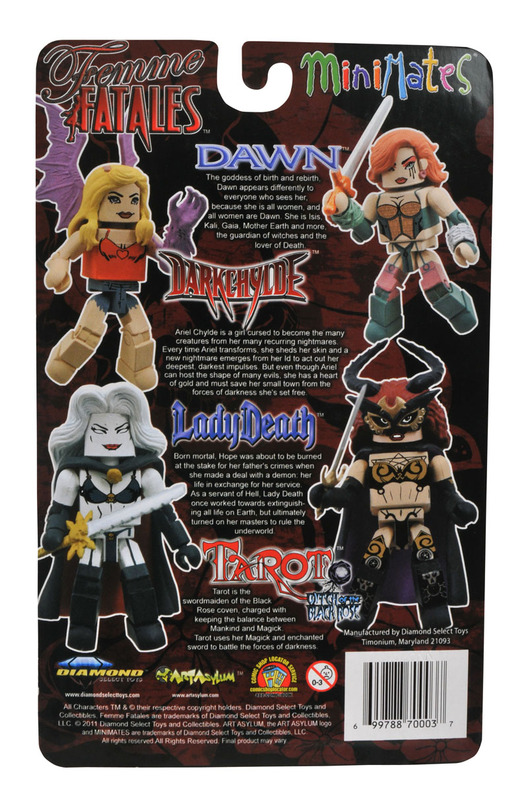 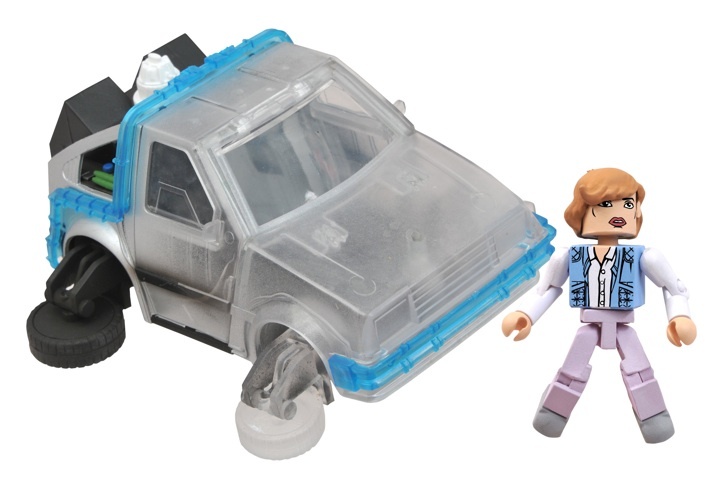 Not only will comic book shops and online retailers get the first box set of Femme Fatales Minimates (with Dawn, Darkchylde, Tarot and Lady Death), they’ll also get the long-awaited specialty assortment of Minimate Vehicles Series 2! 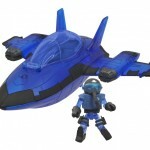 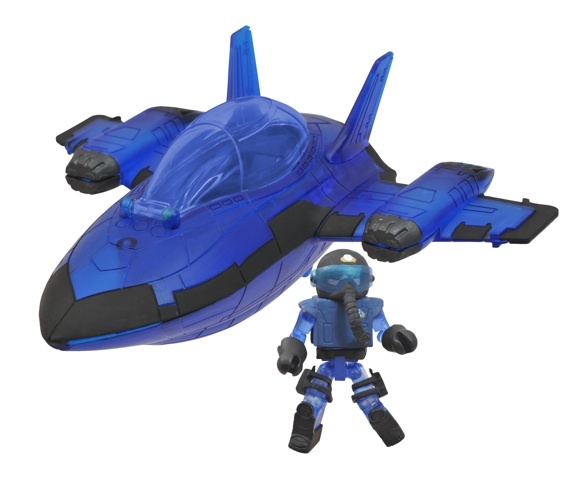 The blue MAX Tech Stealth Jet with Pilot, the glow-in-the-dark Pirate Raiders Ship with Cartographer and the Back to the Future II Hover-Mode TIme Machine (phasing version) with Jennifer will all arrive at stores this Wednesday, so hit up you LCS or your favorite online retailer for your set. 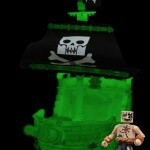 Check out the pictures below, and check out the glowing ship’s debut in the first episode of “Calico Jack’s Pirate Raiders”!